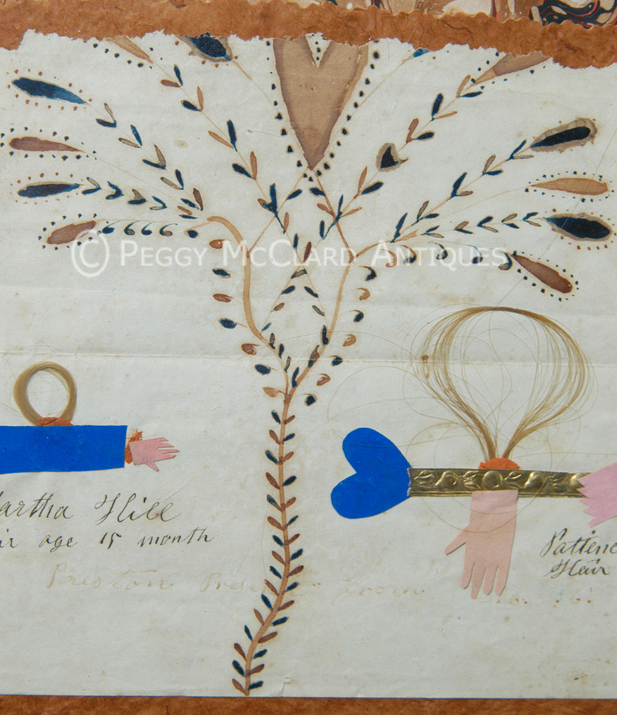 Beginning in the early decades of the 19th century, women and young ladies kept memory books and friendship albums which they filled with paper and fabric cuttings of hearts and hands embellished with woven or otherwise arranged hair of friends and family. 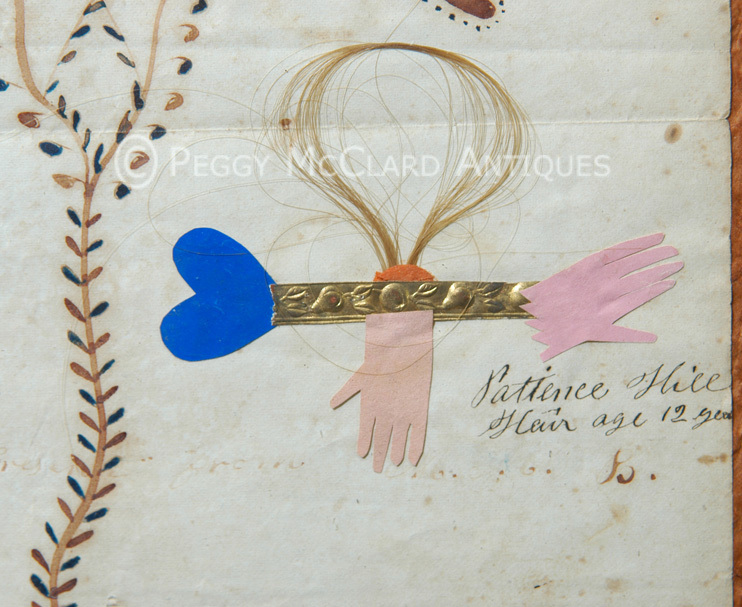 Woven hearts and hands embellished with hair were traded as 19th century tokens of love and friendship. The double lobed heart has been the symbol of love since antiquity, showing up in Cro-Magnon pictograms and early Egyptian paintings. European immigrants brought the heart as the symbol of romantic love to America where they added two other symbols, the heart and hand and the heart in hand which both symbolized the heart's guidance of the hand's actions. This beautiful and sensitive image of love shows up in highly collectible Christmas, New Years, and Valentine greetings and declarations of love. This extraordinary love token was taken from a memory album (prior to my acquisition). 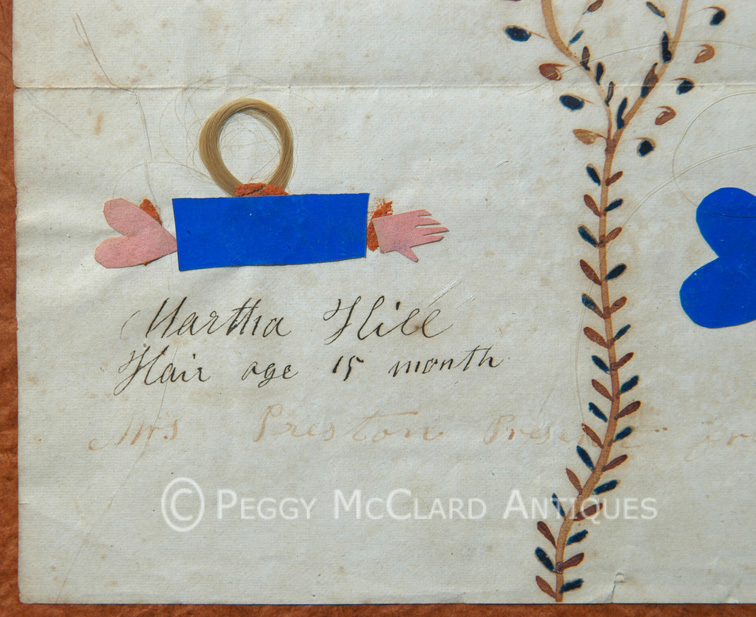 It features the hair of two children--Martha Hill, hair taken at 18 months, and Patience Hill, hair taken at 12 years. The hair is adorned with hand-cut hearts and hands. Patience's hair is also adorned with a bit of Dresden tape. Across the bottom of the page is a very faded inscription that reads "Mrs. Preston Present from M.M.B." [I'm not entirely sure about the three initials.] The page is spectacularly adorned in a very fraktur-like fashion with a watercolor tree topped by a heart. 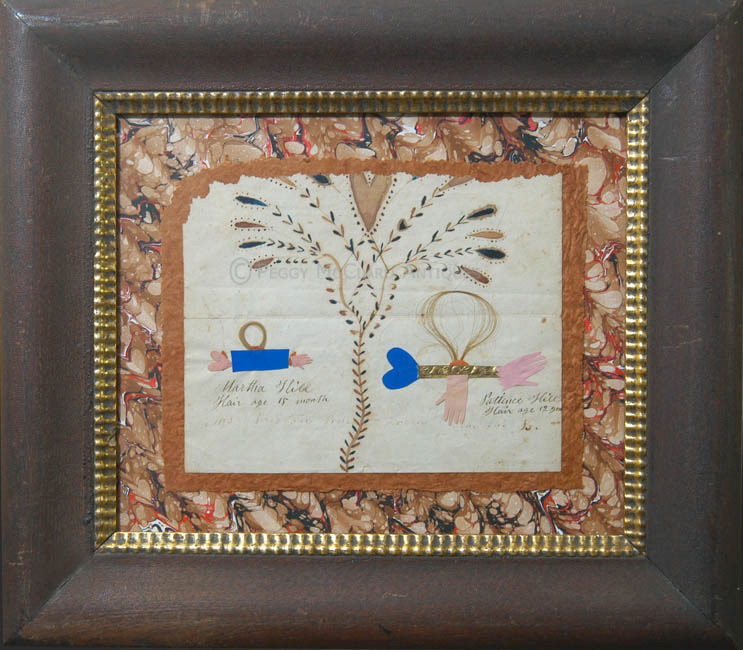 I have framed this beautiful piece of American folk art in a walnut frame with an unusual gold leaf ripple liner carved into the walnut. The frame has a wonderful dry original surface. The love token is lightly hinged with archival tape to a bit of handmade acid-free paper that has a rough top edge that mimics the rough top edge of the love token. This is all placed atop lovely paper that is hand-marbled in the same method that has been used since the 18th century. This type of marbled paper was favored by 19th century Americans. The frame measures 14 1/2" x 12 3/4". The love token, itself, measures 7 3/8" x about 5 7/8". 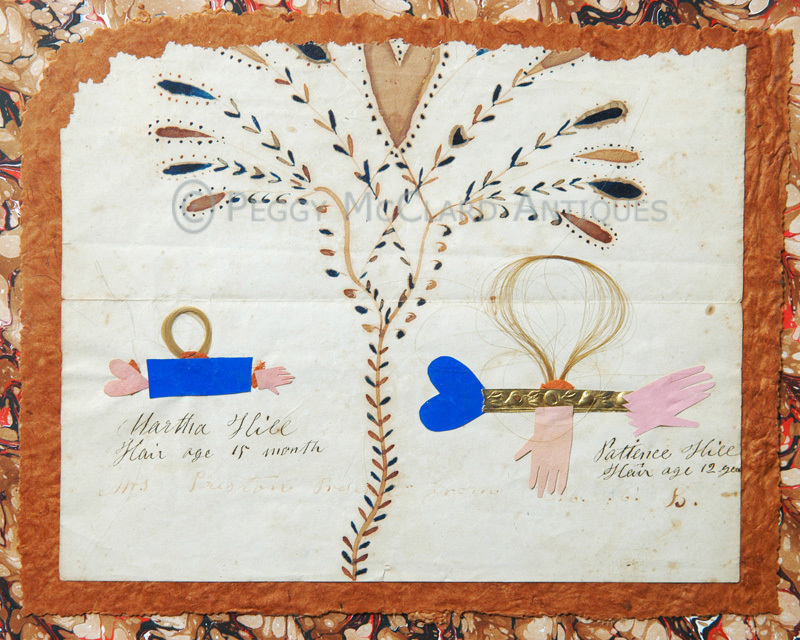 Don't miss this glorious bit of folk art--love tokens this good just don't come up for sale anymore! Circa second quarter of the 19th century. Shaw, Robert. "United as this Heart You See: Memories of Friendship and Family", Expressions of Innocence and Eloquence Selections from the Jane Katcher Collection of Americana, Ed. Jane Katcher, David A. Schorsch, Ruth Wolfe. Marquand Books, 2006. 85-101. 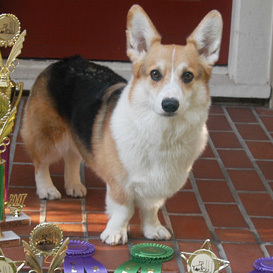 Ockenga, Starr. On Women & Friendship A Collection of Victorian Keepsakes and Traditions. Stewart, Tabori & Chang, 1993. 107-117. 1Shaw, id. at 101 (quoting Leigh Hunt, Godey's Lady's Book (May 1855)).